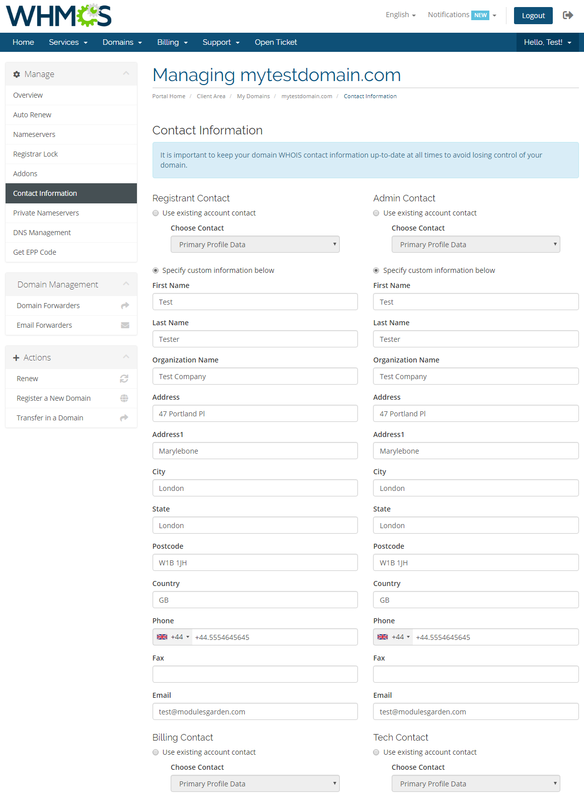 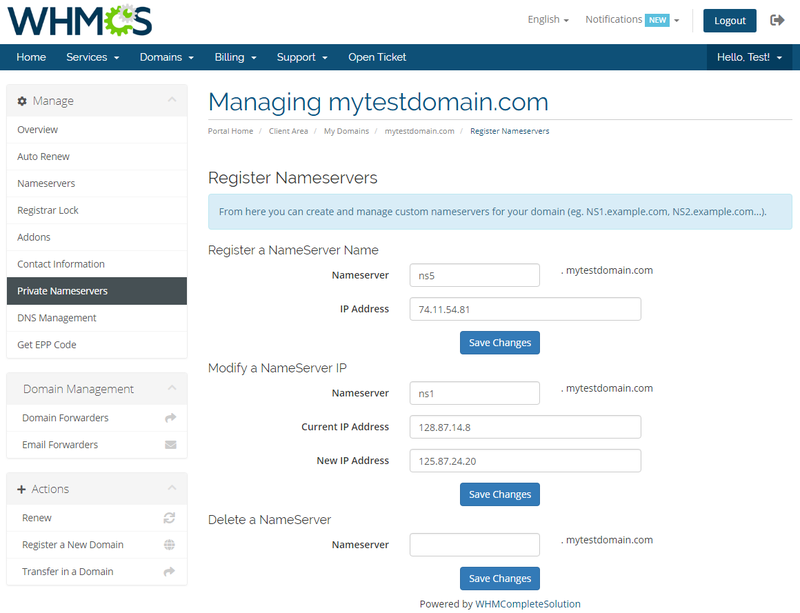 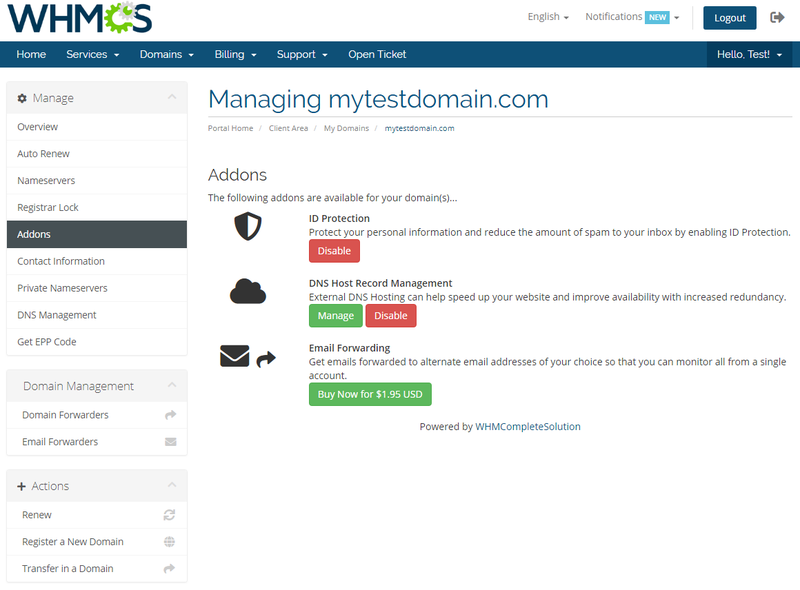 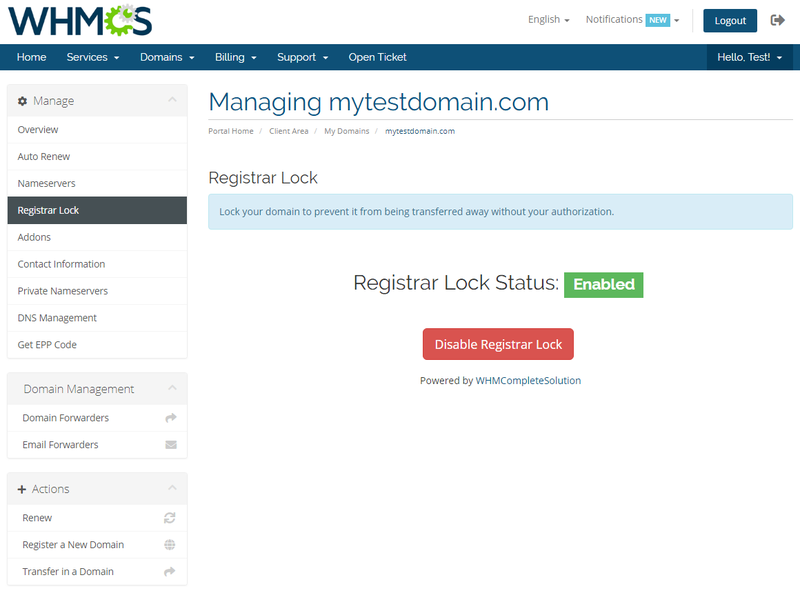 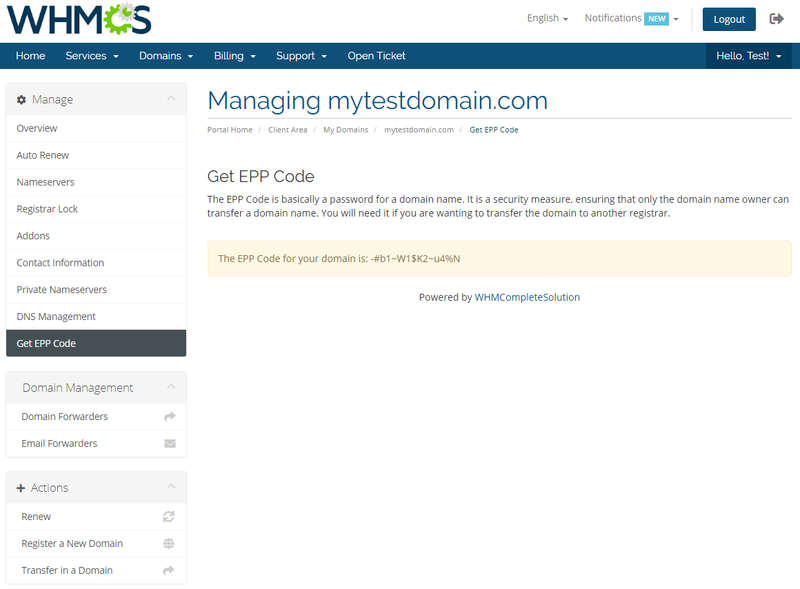 Name.com Registrar For WHMCS is aimed to automate the provisioning of assorted TLDs straight through your WHMCS. 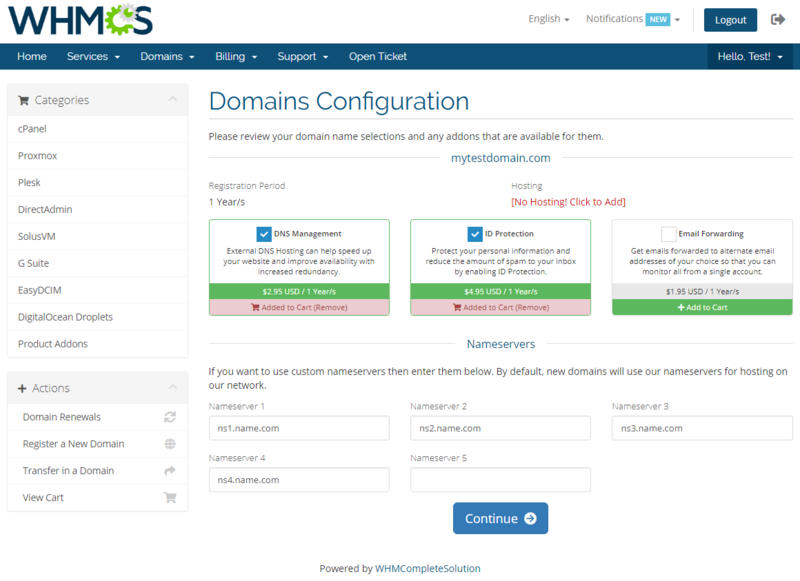 The module will also enable your customers to manage several key components of their domains without leaving your client area. 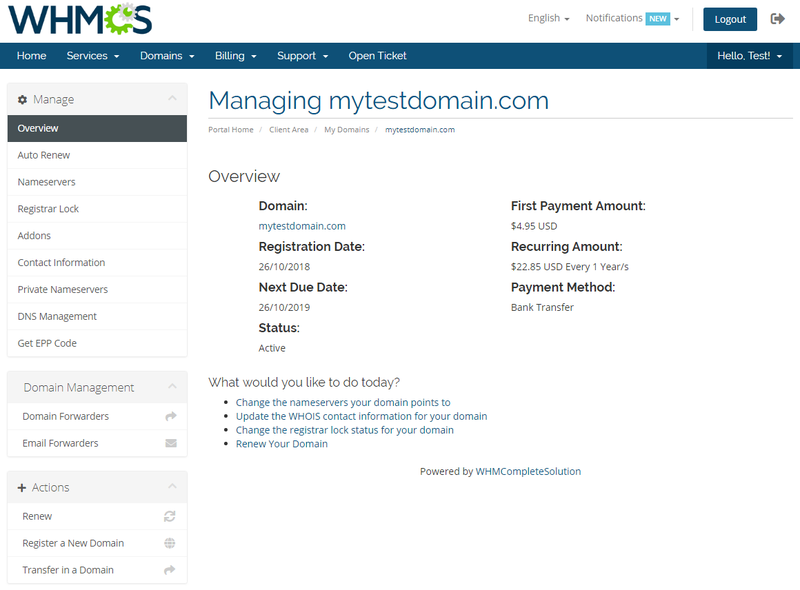 Apart from the most essential features, allowing you to fully automate the whole process of domain's registration, transfer and renewal, the module brings a couple of neat conveniences. 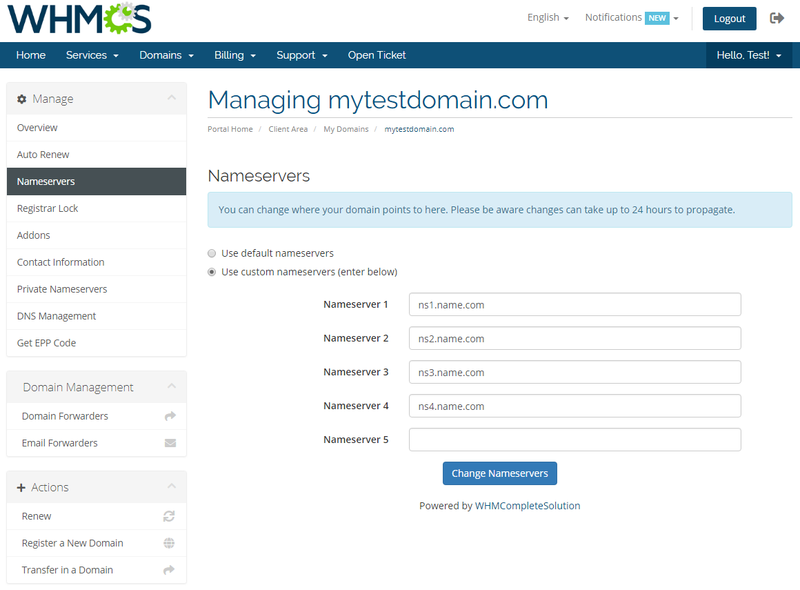 Whenever a customer requests a domain transfer, the module will notify you about it via email, as well as through a customizable support ticket. 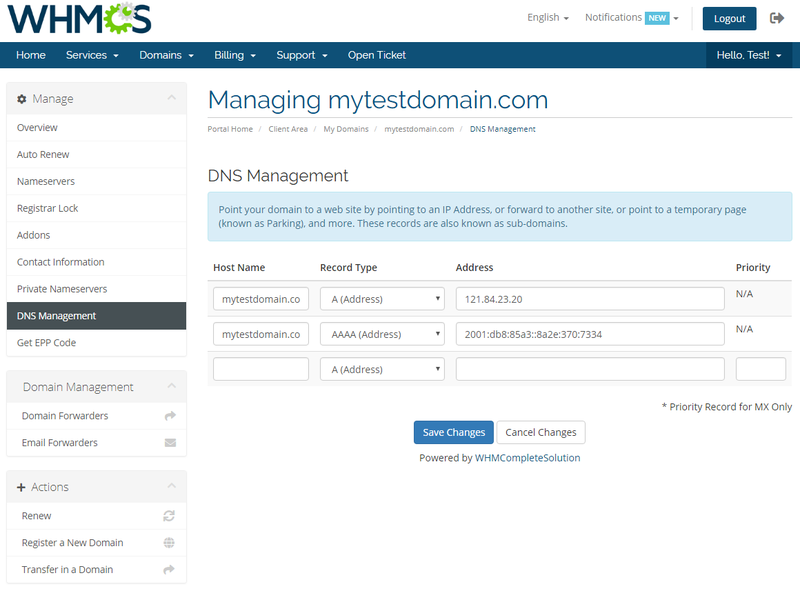 In addition, your clients will be free to remotely manage nameservers and DNS records, enable ID protection or even lock a domain to prevent it from being transferred away without their authorization. 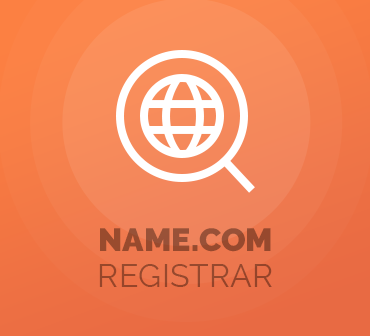 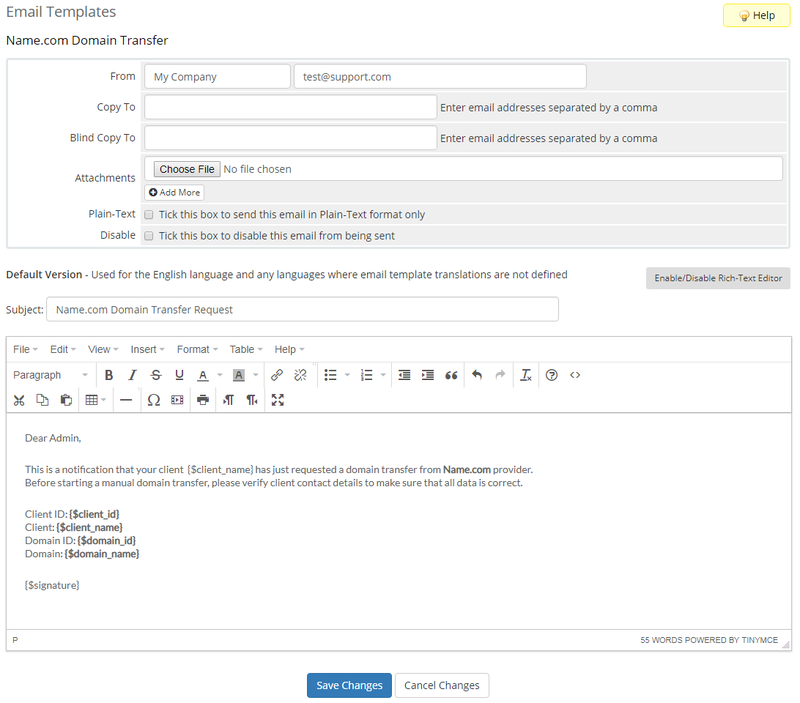 Name.com Registrar For WHMCS is an ideal tool for every domain reseller intent on pushing ahead of the competition, and gaining ever wider audience through smart business tactics. 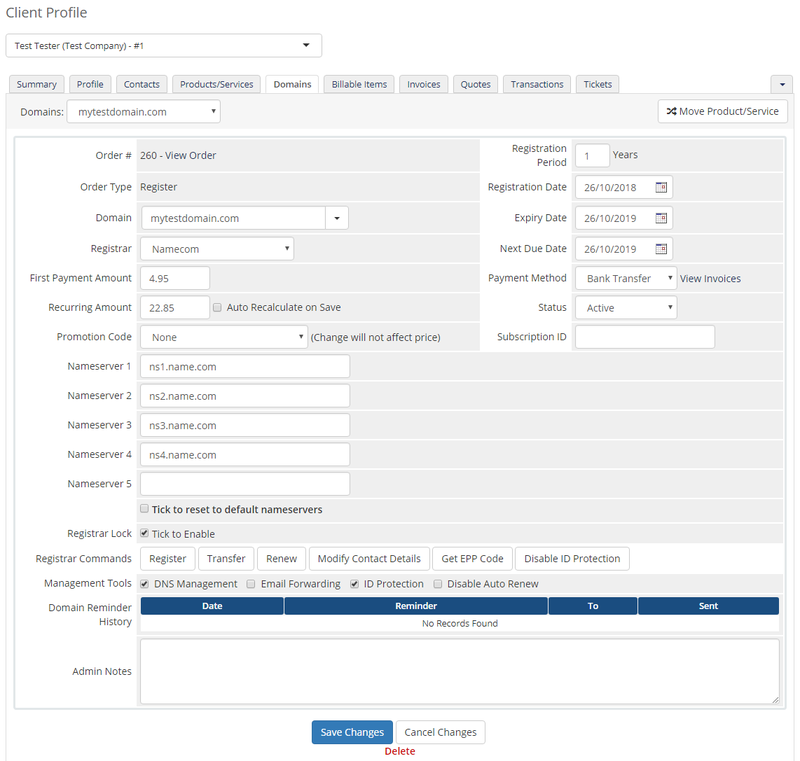 Order the module today and magnify the powers of your company tenfold! 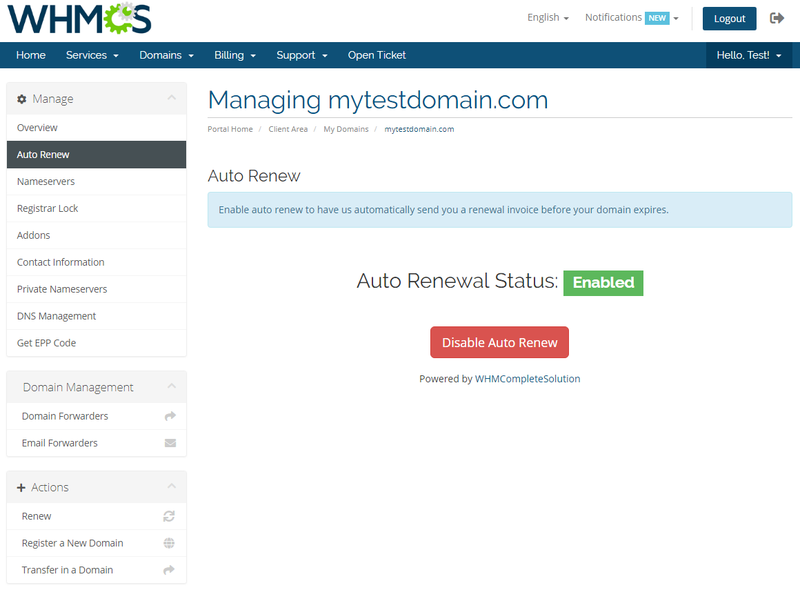 Resell .mx TLDs automatically, handle registrar commands like auto renewals and domain transfers plus permit your clients to manage their TLDs straight in your system. 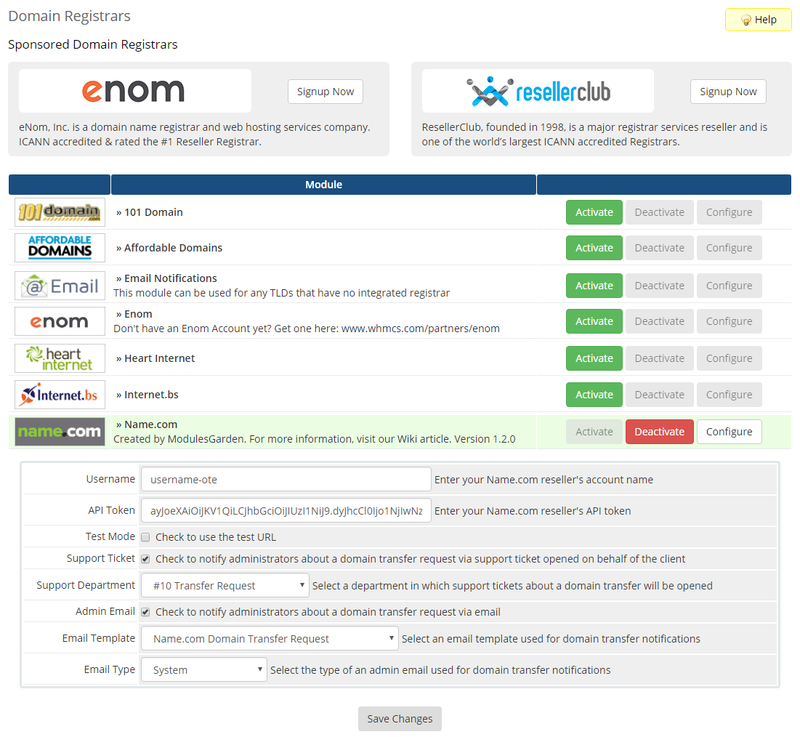 Resell assorted Plesk licenses offered as flexible, fully customizable products, handle them closely in WHMCS and give a broad overview on licenses in your client area.